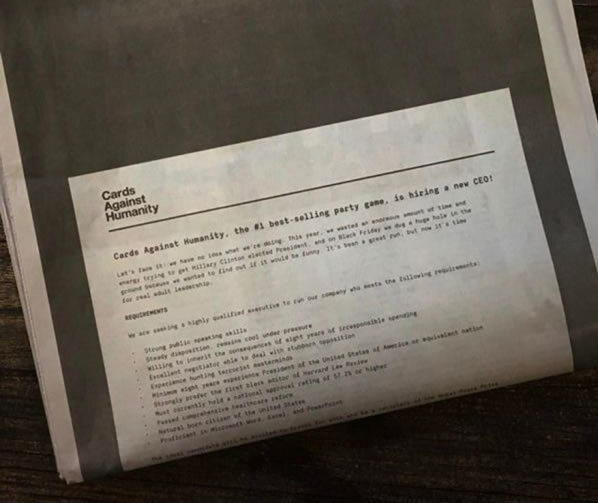 Cards Against Humanity's business operations have been a little strange—they increased prices on Black Friday, dug a giant hole in the middle of nowhere and even sold users real cow poop. That's why they claim they need a CEO that can offer "real adult leadership." However, the job listing has some pretty specific requirements, including "experience hunting terrorist masterminds," a minimum eight years experience as President of the United States of America or an equivalent nation," who "must currently hold a national approval rating of 57% or higher." Back in 2008, McDonald's ran a highly controversial ad in Sweden, which used an offensive statement to grab the reader's attention. 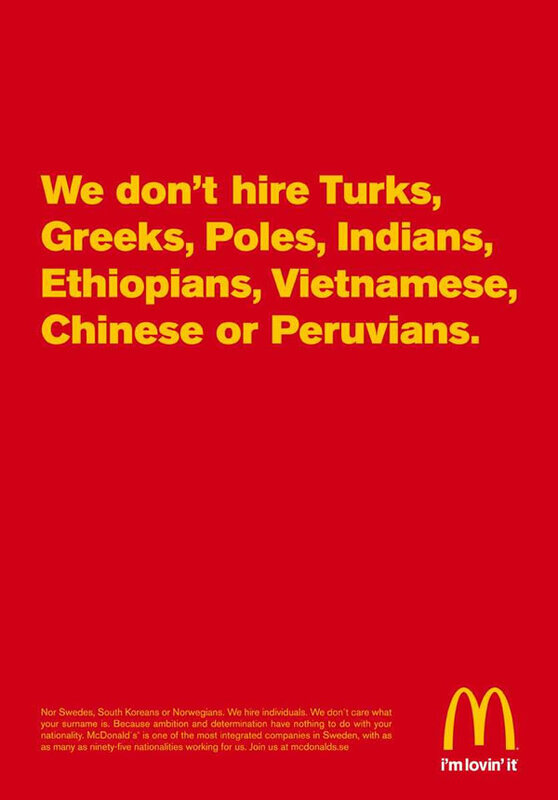 Cleverly, the poster highlighted in the small print that the company hires "individuals," not nationalities. 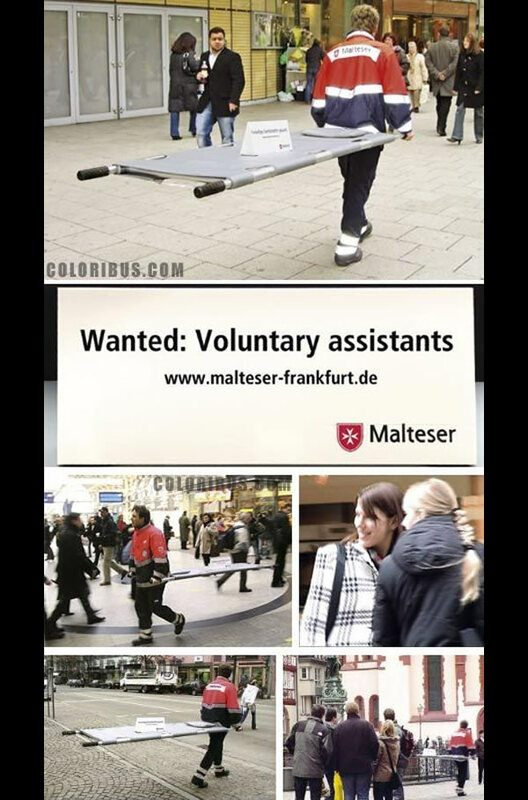 Malteser Worldwide Relief in Frankfurt created this “one-Man stretcher” guerrilla ad for voluntary recruitment in 2006. 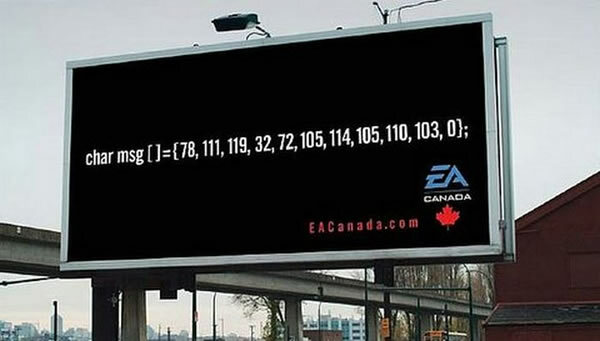 This billboard for Electronic Arts was placed in front of their competitor's building. It's written in ASCII code and reads: NOW HIRING. That's a lot like how I landed a job working for Oddee. 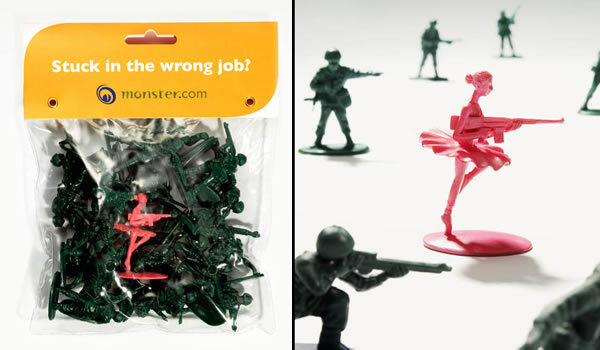 Ever felt out of place at work? Think you might have missed your calling? Those are the kind of questions this clever campaign asks. 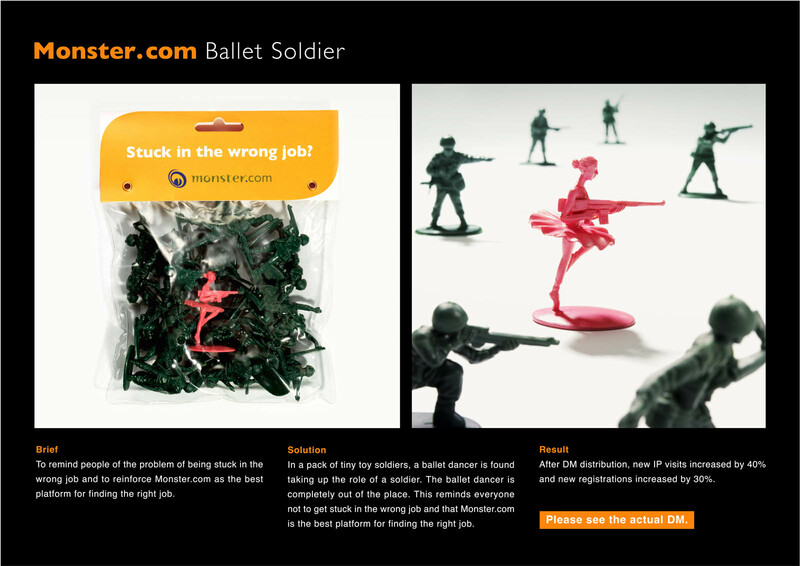 A ballerina in the midst of a bag of toy soldiers couldn't be more out of place—either there was a serious mix-up at the toy factory, or she needs to try a different job recruitment site. Location. Location. Location. 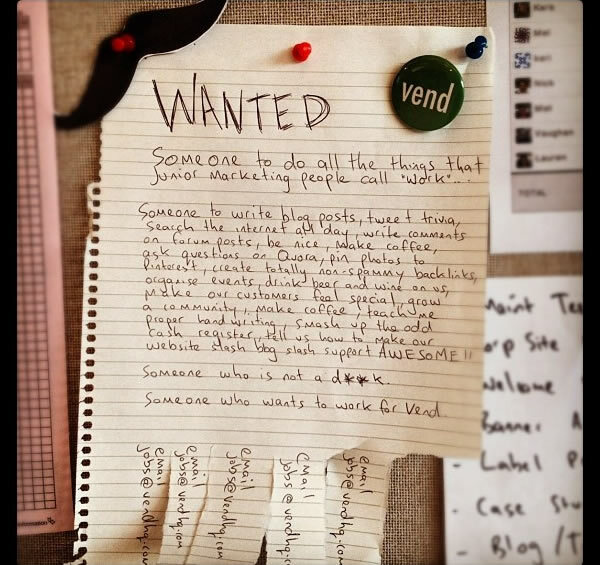 Do you need candidates? Then advertise to them exactly where your ideal candidates are. 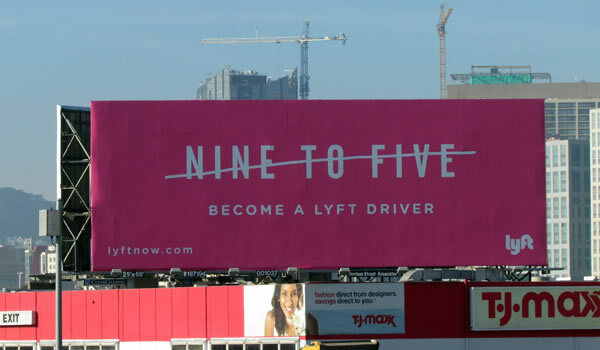 Lyft shared their ad for drivers in full view of a San Francisco highway. Swedish fast-fashion retailer H&M launched its first-ever national recruiting campaign boasting benefits, pay and sustainability efforts as competition has pushed companies to create more attractive workplace environments. 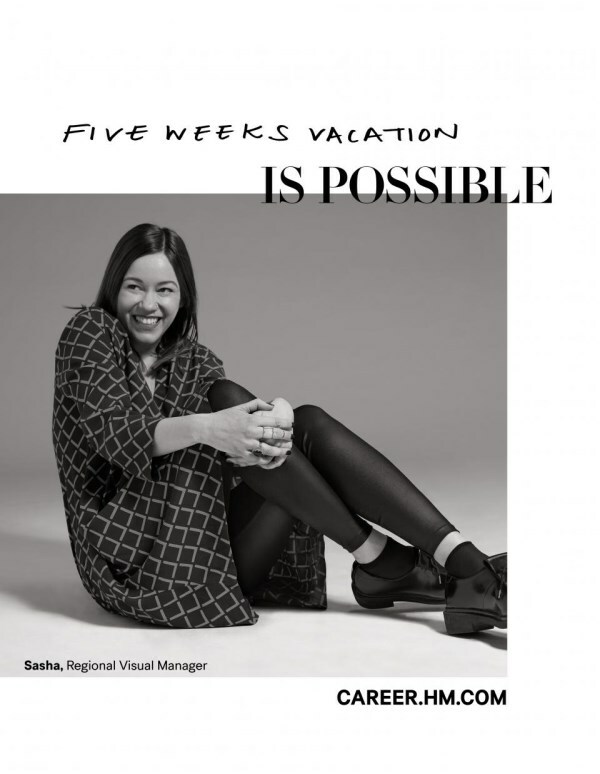 5-week vacations? Where do I sign up? 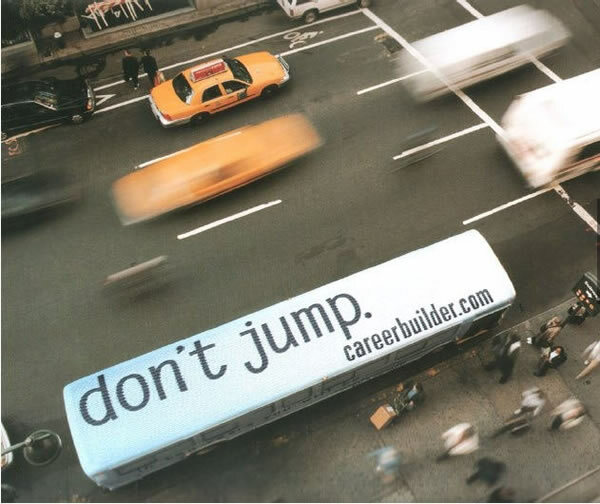 Don't jump, just find another job. 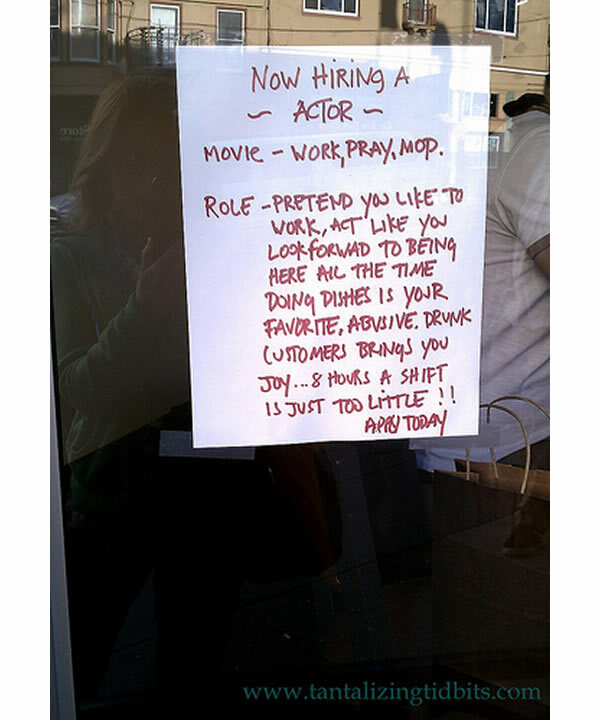 Most wannabe actors end up working as waiters—definitely a fun way to get real.